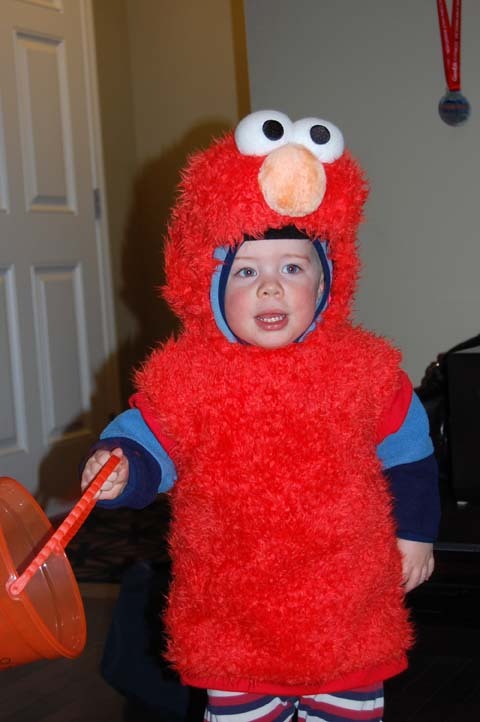 Happy Hallowe'en from me and my 21-month-old-grandson, Braydon (aka Elmo). 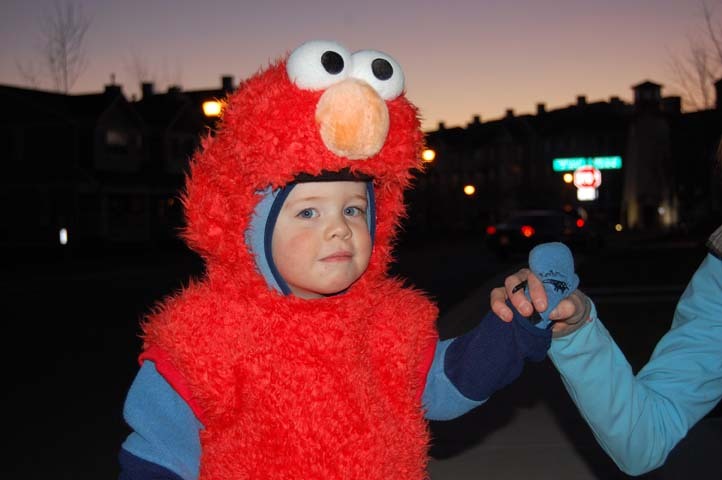 At first Braydon wanted nothing to do with his Elmo costume but was okay with it once he got it on. He wasn't sure what all this Hallowe'en stuff was about. However, once he realized that people were putting things into his little bucket, he was anxious to visit every door. He's not interested in the candy (unlike his grandma!) but liked all the little packages he received. 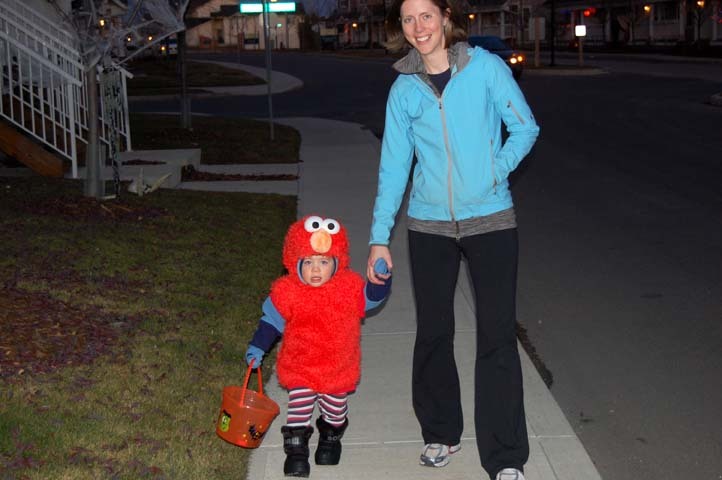 Braydon had fun visiting the houses in his neighborhood with his Mom, Jessica and Dad, Drew (behind the camera). Grandma handed out candy at the house. "Look for me again next year." love them at this age -- too cute! What fun! He is at a wonderful age, enjoy. They are so sweet when they first start trick or treat. 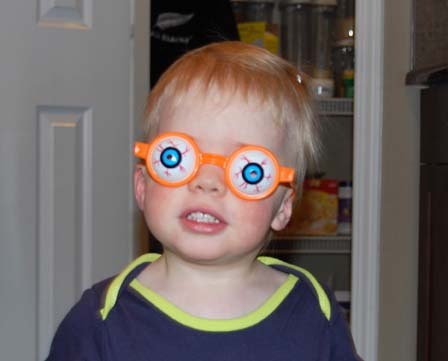 My grandson's are growing up and had to be zombies this year, it is some how not the same.